Media Attacks America on Independence Day! I was shocked over the weekend to witness a full-scale talking point in the media demonizing our Founders and the precious Constitution. Please comment below with examples you’ve witnessed over the weekend so we can compile a more detailed report later in the week. Please get this report out to everyone you know. It is our job as 21st Century Paul Reveres to raise the alarm that the enemy is within the gates working overtime to destroy the Republic and reduce us to absolute slavery. 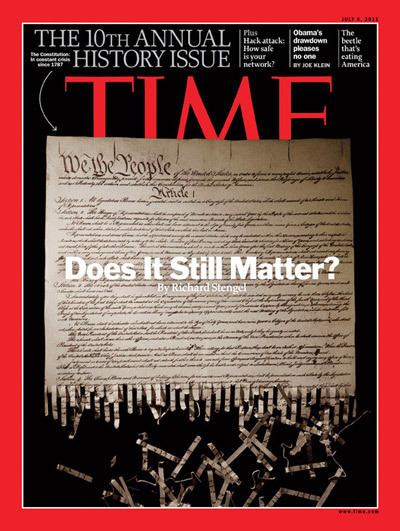 RELATED: Time’s Orwellian Story on U.S. Constitution Refuted!